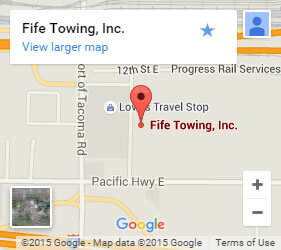 Fife Service & Towing is a family-owned, multi-generational towing company that has proudly served our community since 1949. We have experience in just about any towing situation possible, from underwater recovery to wedged on an embankment. Our fleet of towing vehicles includes cranes, flatbeds, and winches to handle any size tractor towing in Puyallup or the surrounding cities. Our large fleet covers a wide range of area, so there is always a member of our team close by. Our 24/7 dispatcher will rush the nearest towing professional your way as soon as you call. Our certified towing technicians are well-versed in working with heavy-duty vehicles. We offer both towing and roadside assistance services. If we can, we get you back up and running. When that is not possible, we get you and your rig safely off the road and to a service location of your choice. 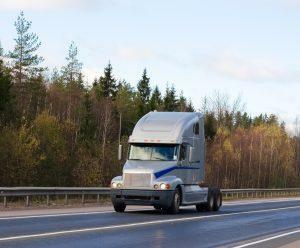 Commercial vehicles are too important for your business to stay out of service. We understand that sense or priority, that is why we get to you fast and we come fully prepared with the right equipment and an experienced professional who knows how to use it. Our towing team is well-practiced in a multitude of problem-solving scenarios. We even have safe transport and storage of any cargo you are carrying. Count on us to get you back on your way. Call any time of day or night, no matter what day of the year. We are here, and we are ready for your tractor towing in Puyallup.